Michael Love and Associates (MLA) staff is nationally recognized for their work in developing guidance documents, online resources, and as instructors at trainings, workshops and conferences around the country. 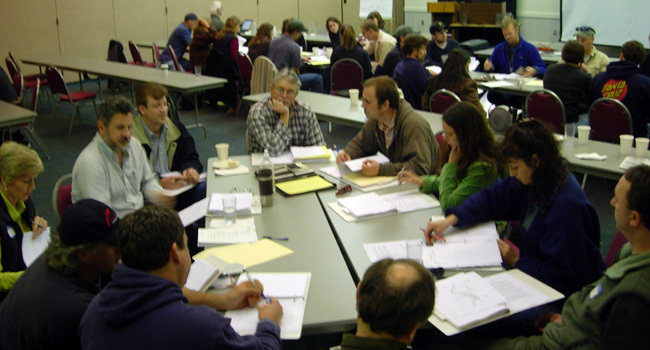 MLA has been a lead author in fish passage assessment and design manuals for state and Federal agencies. 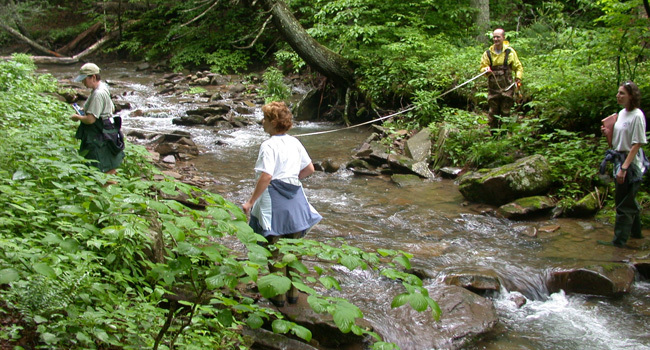 These manuals bring together the most current state of the practice in engineering, fluvial geomorphology, hydrology, and fisheries biology. 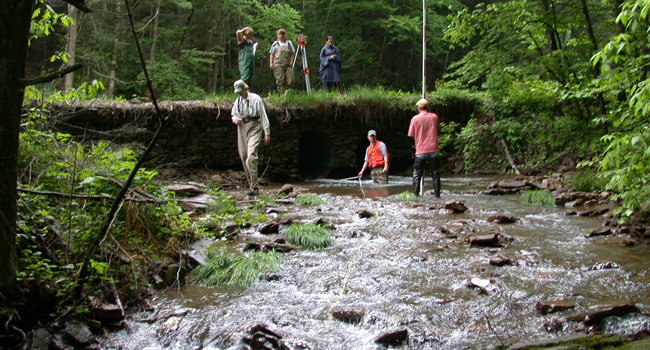 MLA has also lead in the development of an online Tutorial on Field Procedures for Inventory and Assessment of Road-Stream Crossings for Aquatic Organism Passage. 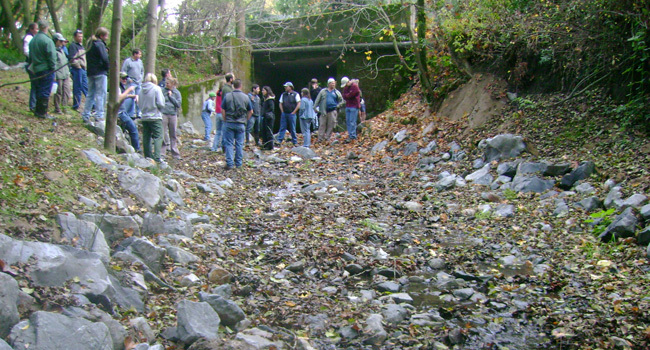 Under contract with California Department of Fish and Wildlife and US Forest Service, MLA developed on-line case studies of completed fish passage and stream restoration projects for use as an advanced learning resource. 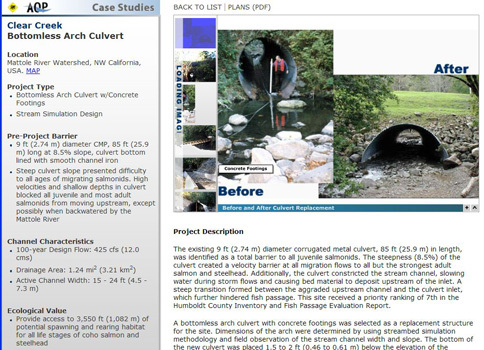 Each case study compiled by MLA staff focuses on technical engineering, geomorphic interpretation, biological considerations, and lessons learned from each project. 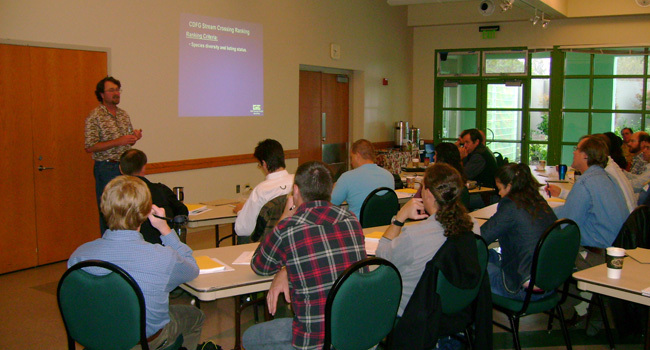 We also provide training and workshop instruction on the technical aspects of fish passage design. 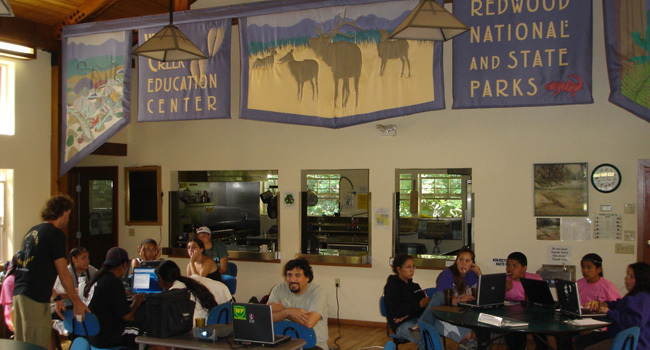 Our staff coordinates, develops the materials for, and instructs various workshops throughout the United States. 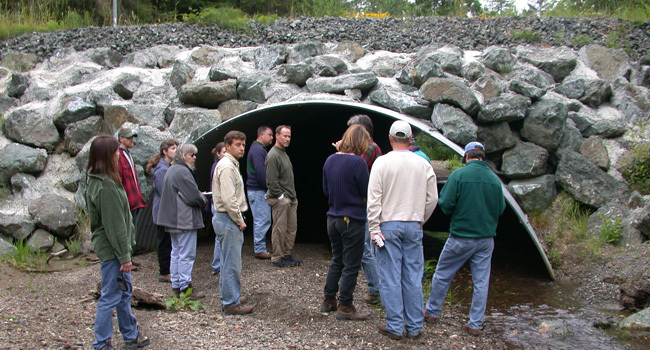 Instruction includes classroom lectures, group exercises and field tours to fish passage projects. 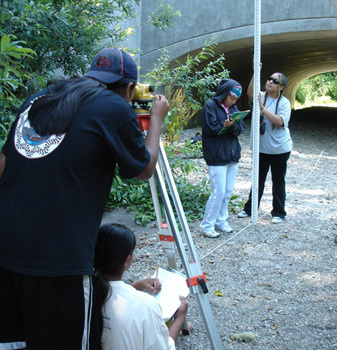 Attendees include state and Federal road engineers, hydraulic engineers, fisheries biologists, regulatory personnel and even high school science students.